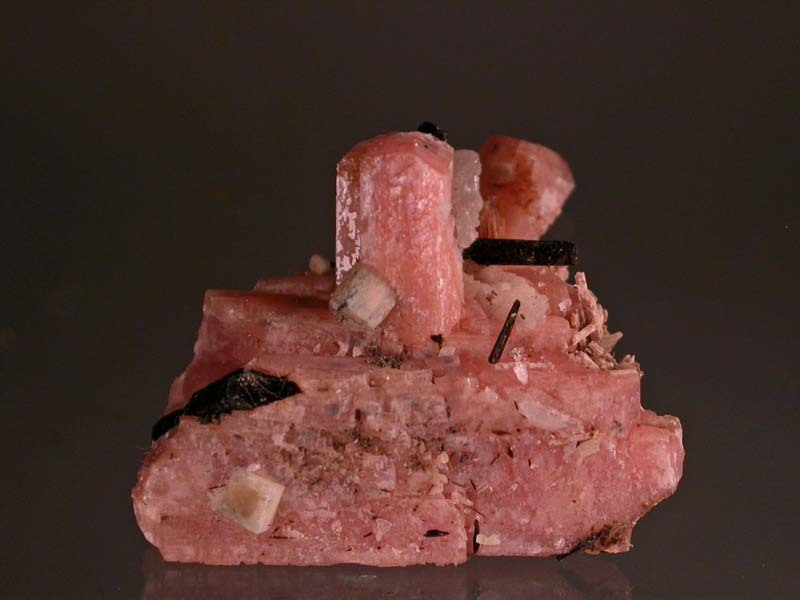 A nice little cluster of serandite crystals showing a well terminated blocky crystal protruding upwards from a large serandite crystal section. 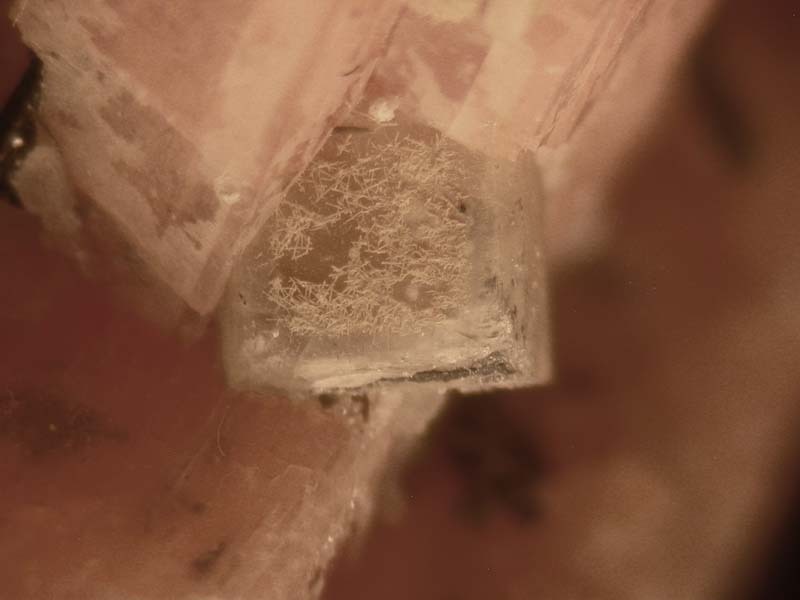 There are several, smaller very light green leucophanite crystals (like in the microphoto) attached to the serandites, as well, along with a nice polylithionite crystal. Very nice!